LG Electronics is a South Korean electronics company that sells everything from appliances to phones to televisions. Their QHD technology has revolutionized resolution for a better viewing experience. With Big Apple Buddy’s personal shopping service, you can now buy direct from the LG Store USA anytime, anywhere. LG has a wide range of expertize, but their wearable technology has been the most recent innovation. 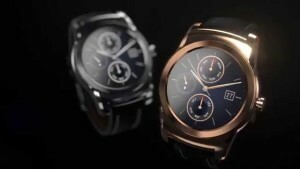 The LG Watch Urbane smartwatch is being called the “genuine masterpiece” with its classic design of stainless steel and a gold or silver finish. 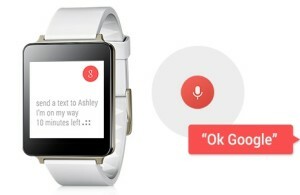 You can even swipe your finger to change the watch’s face or switch to any of the available straps. The Watch Urbane is water and dust resistant so you can wear just about anywhere. It has stunning image clarity, even the brightest days and will respond to almost any action by just saying, “Ok Google”. Get the LG G Watch R smart watch for a more modern and sporty look. It is ideal for a healthy fitness experience with a PPG sensor for your heart. For the latest smartphone, the LG G4 is the most ergonomic and camera-powerful gadget with a removable, long-lasting battery. Like with most US products, LG items are released in America before anywhere else in the world. The US store also has the greatest product range available. 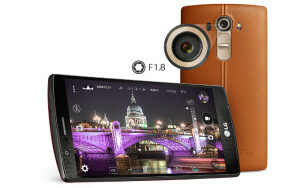 Unfortunately, the LG Store USA does not currently offer international shipping. Big Apple Buddy, your personal shopper, can however help you buy from the US LG Store and ship them to your doorstep, regardless of where you live. We offer international shipping to over 110 countries including Australia, Austria, Azerbaijan, Bahrain, Belgium, British Virgin Islands, Brunei, Bulgaria, Canada, Chile, Costa Rica, Croatia, Czech Republic, Denmark, Estonia, Fiji, Finland, France, French Polynesia, Germany, Gibraltar, Greece, Greenland, Hong Kong, Hungary, Iceland, Indonesia, Ireland, Israel, Italy, Japan, Jordan, Kuwait, Latvia, Liechtenstein, Lithuania, Luxembourg, Macau, Malaysia, Maldives, Malta, Marshall Islands, Mauritius, Monaco, the Netherlands, Netherland Antilles, New Zealand, Norway, Oman, Poland, Qatar, Romania, San Marino, Saudi Arabia, Serbia and Montenegro, Seychelles, Singapore, Slovak Republic, Slovenia, Spain, South Africa, St. Lucia, Sweden, Switzerland, Taiwan, Thailand, the UAE, the UK, Vatican City, and Vietnam. If you would like to buy from the LG Store USA, simply contact us for a free shipping quote and we'll get back to you within 24 hours!